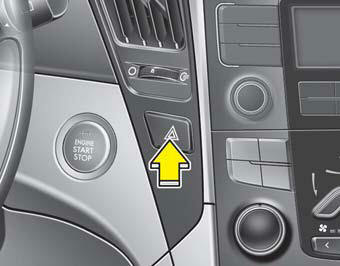 • The hazard warning flasher operates whether your vehicle is running or not. • The turn signals do not work when the hazard flasher is on. • Care must be taken when using the hazard warning flasher while the vehicle is being towed.